The Genuine Dining Company was first introduced to Lime Signs by a mutual friend at Mozzo Coffee (another client of Lime Signs) to assist them with the internal signage for their many on-site catering establishments. 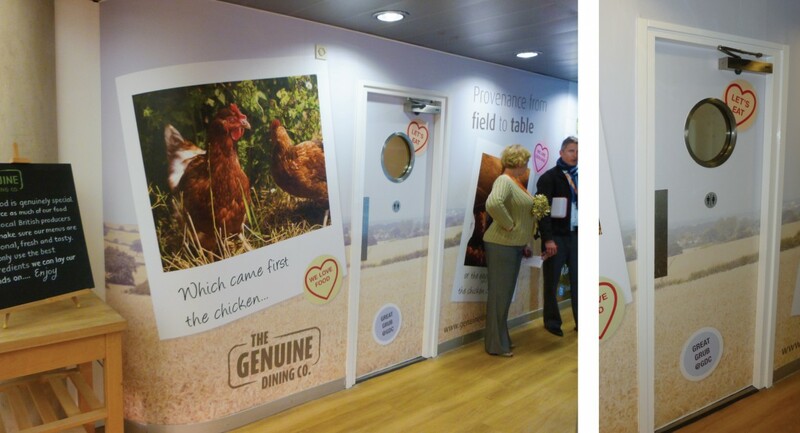 We have produced and installed various digitally printed wall covering products for GDC all over the country, including special high-tack vinyls, scratch-resistant laminates, and cut-to shape composite aluminium wall pieces with stainless steel fixings for a clean finish. 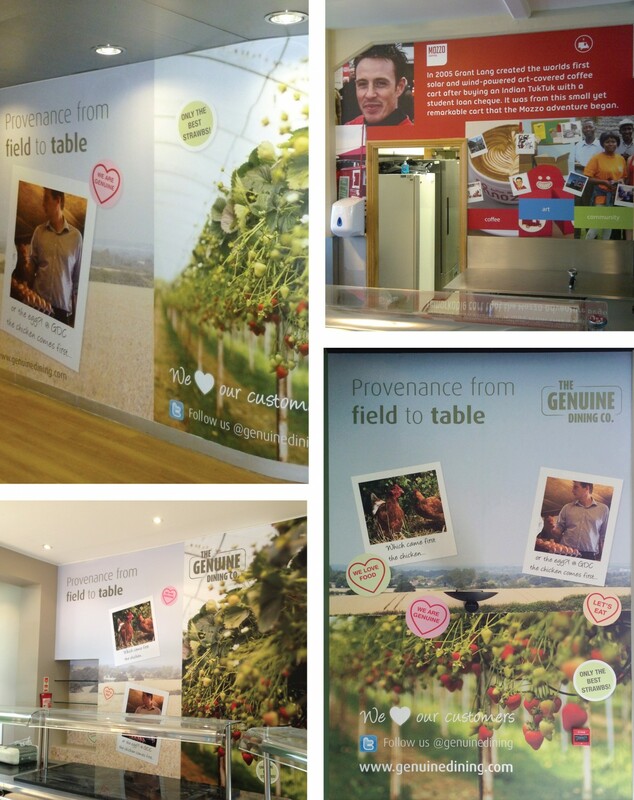 Digitally printed high/low tack large format vinyls with MATT/scratch-resistant vinyls applied. Cut-to size/shape composite aluminium wall covering with laminated digitally printed graphics applied.